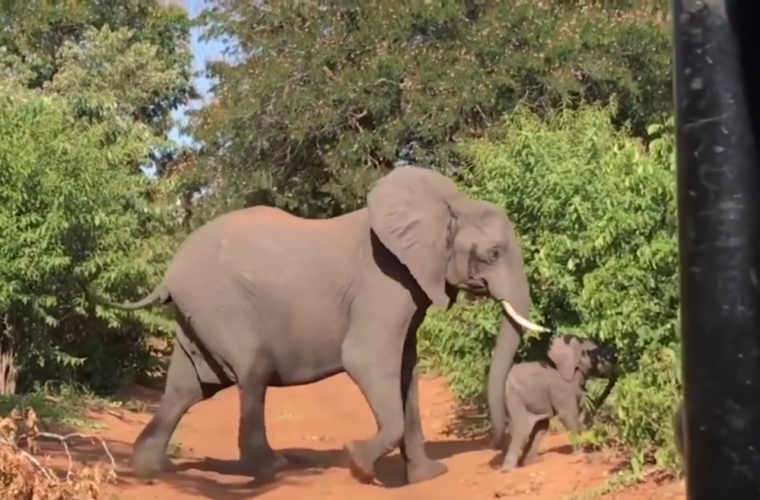 It was a beautiful and sunny morning at the Chobe National Park in Botswana when a tourist group on safari experienced a rare sight–a mother elephant and her baby. 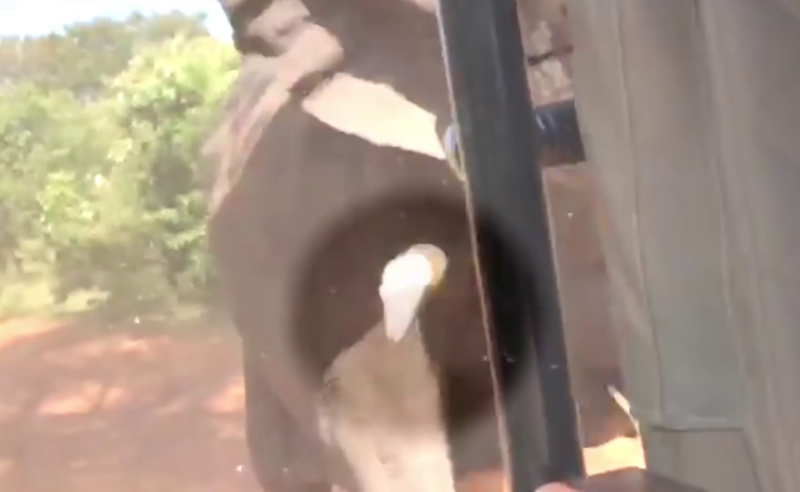 However, what started as an awe-inspiring moment, soon turned to terror as the elephant charged at the tourists. 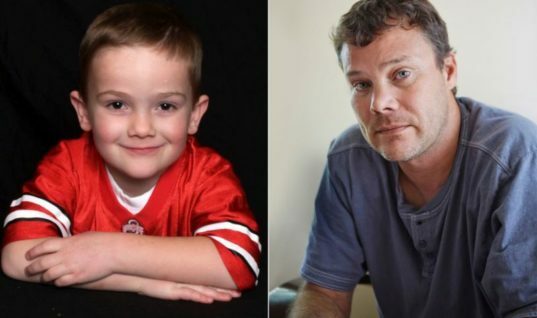 You won’t believe this incredible story. 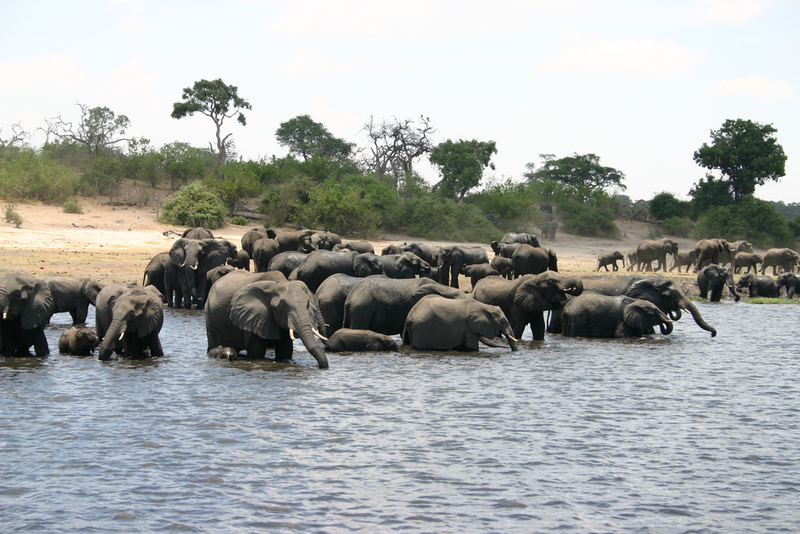 The Chobe National Park in Botswana is known for its large population of elephants. The park spans an area of 11,700 square miles and was the first of its kind when it opened in 1968. Since then, the park’s popularity has grown and it receives over 170,000 tourists on a yearly basis. 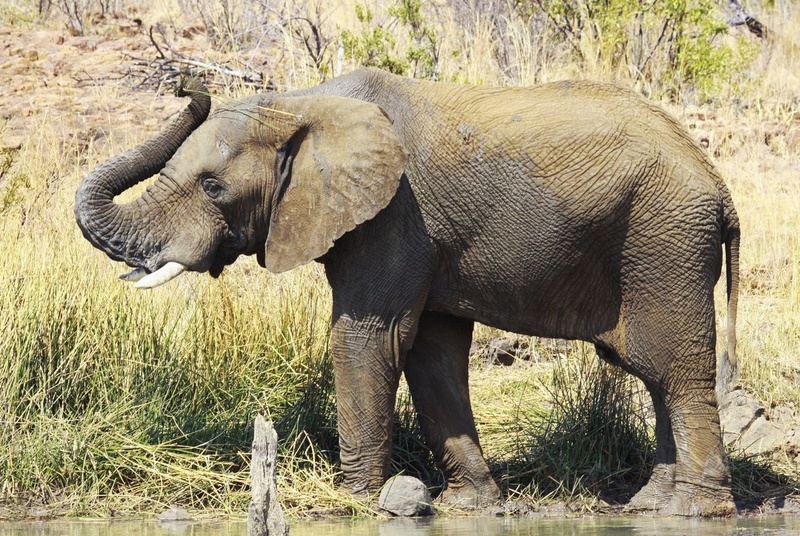 Sadly, while elephants are protected today, Botswana has a bloody history. In the 19th century, poaching by Europeans and locals was at an all-time high. By 1890, most of the country’s game had been decimated and it took over eight decades for the elephant population to recover from the mass slaughter. 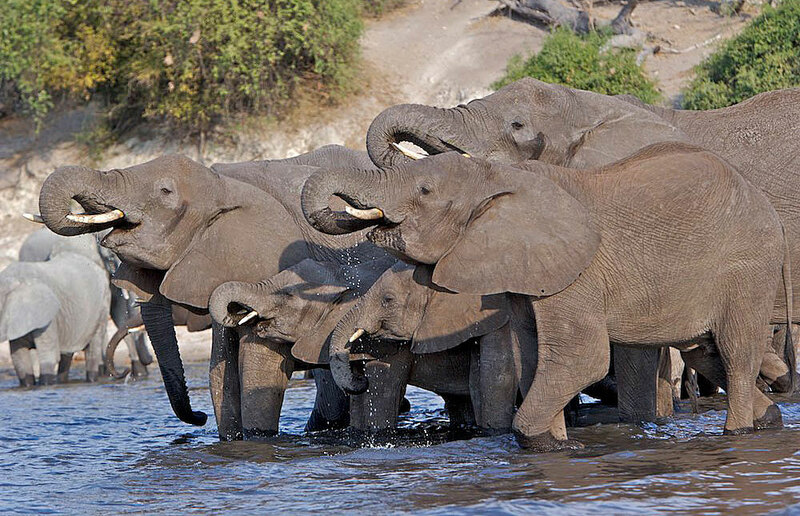 Over the past 50 years, the Chobe National Park has been a safe haven for elephants in the country and the population is thriving. There are over 50,000 of these majestic mammals living in the park and tourists love coming to visit them. Let’s just say the experience of being up close and personal with these animals is thrilling, to say the least. The park has three types of species of elephant living on the grounds, the African bush elephant, the African forest elephant, as well as the Asian elephant. However, the most prominent species residing in Botswana is the African bush, also known as the Kalahari. It also happens to be the largest of the elephants in the world. It should come as no surprise that elephants, just like humans, don’t have any natural predators. Unfortunately, poachers still remain a constant threat, as well as the loss of their habitats due to urban development. And while these animals may seem like gentle giants, they could do some fatal damage thanks to their large tusks. 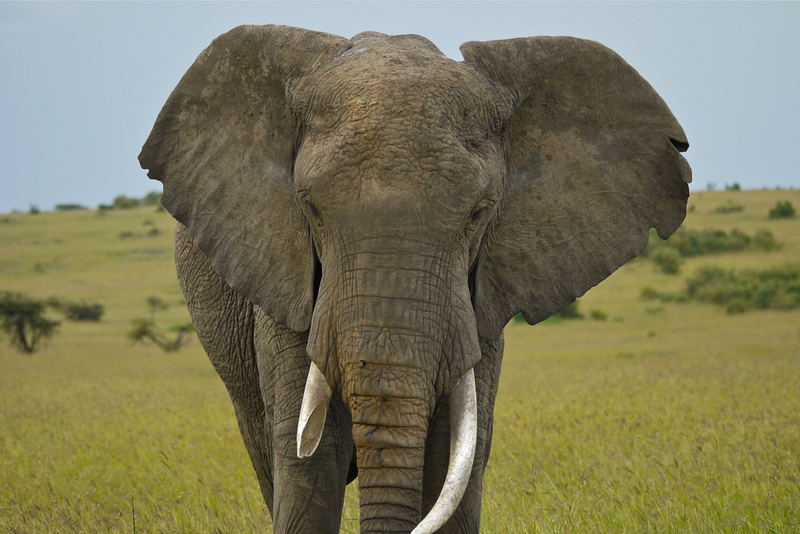 One of the features the African bush elephant is known for is its short ivory tusks, which happen to be very brittle. This is due to a lack of calcium in the soil. Sadly, poachers still target these elephants since ivory is in such high demand on the Asian black market. Africa technically outlawed hunting African bush elephants in 1989, but illegal poaching still happens on a frequent basis. Sadly, elephant populations across the globe have fallen by 62% over the past ten years, with 100 elephants being killed daily by poachers. This is due to the increase in ivory prices over the past three years. Eventually, elephants could become extinct if this continues. 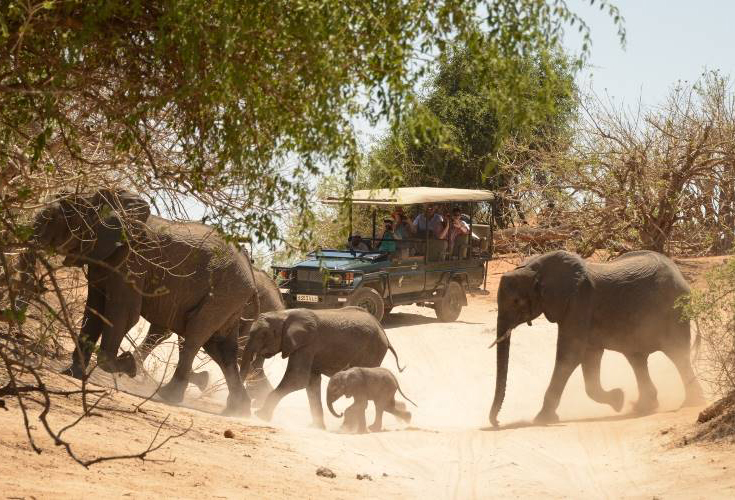 Even though the elephants are at risk, safari tours continue to be popular. 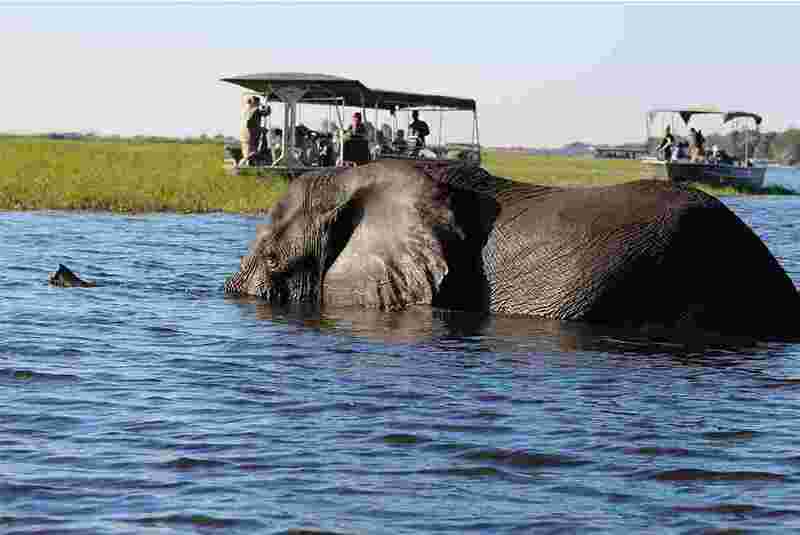 The Chobe National Park offers a wide variety of tours, some which include a guide in a packed 4×4. Let’s just say being up close and personal with these animals is an experience of a lifetime. 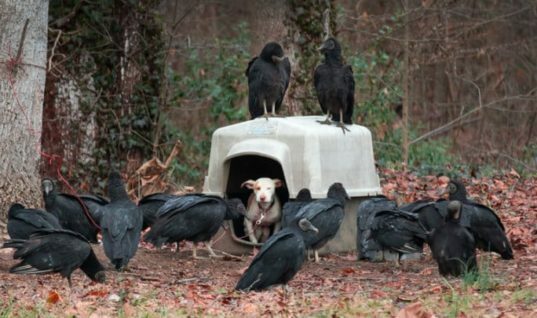 And for one tour group, it was an encounter they surely would never forget. 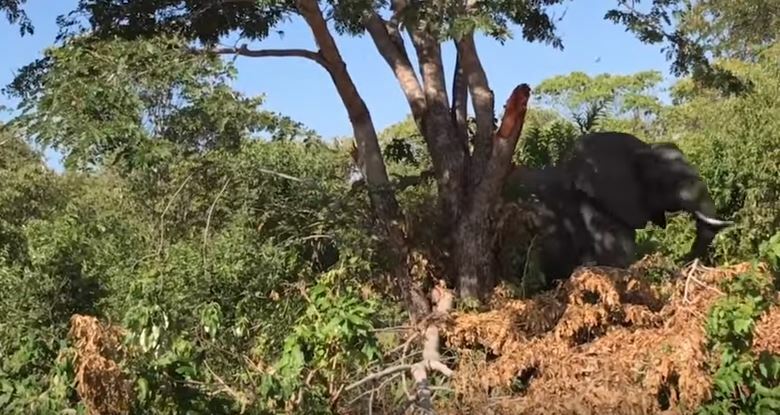 It was a bright morning in January 2018, when a truck full of tourists went out into the park to enjoy the surroundings and hopefully catch a glimpse of one of the many elephants living there. 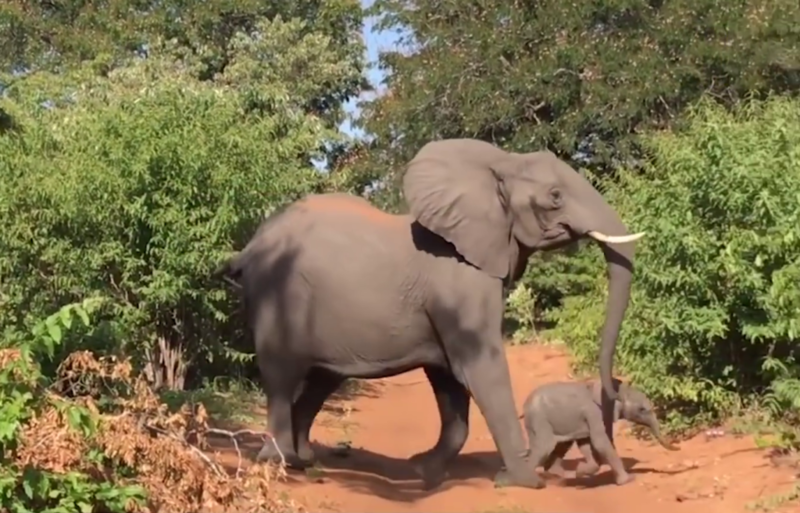 Unfortunately, the fun soon took a turn for the worse when a mother elephant crossed their path. 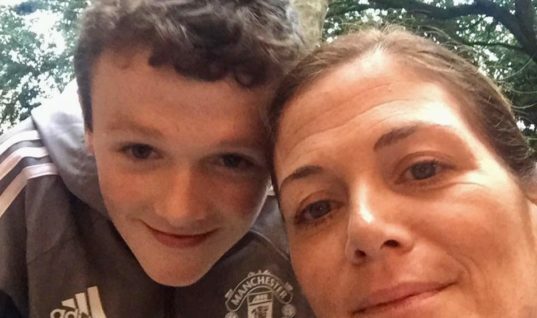 The entire incident was caught on video and begins when the truck of tourists spots flashes of grey in the foliage along the path. The lumbering shadow soon emerges and the group is delighted to see one of the majestic elephants. 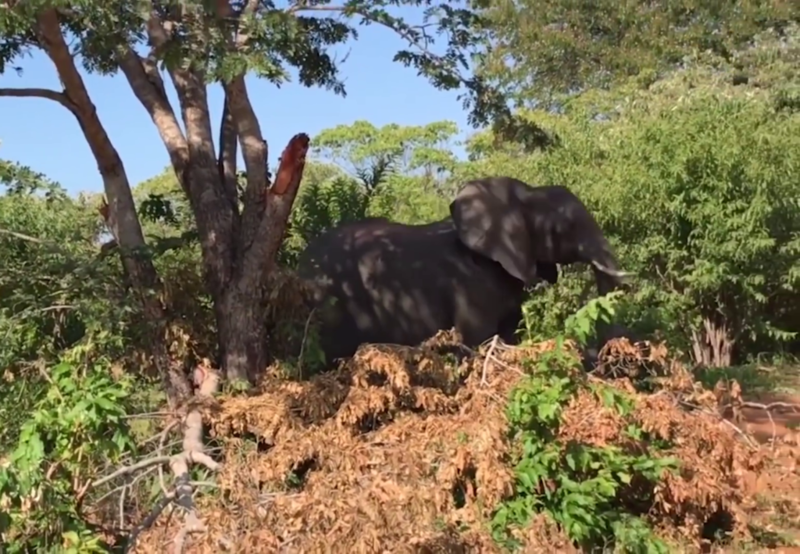 The elephant moves through the trees, wary of the intruders in its domain. As it remains in the shade of the trees, the tourists chatter with excitement, snapping pictures and hoping the elephant comes closer. Be careful what you wish for, folks! The elephant soon begins to trumpet loudly. The noise increasing in frequency. 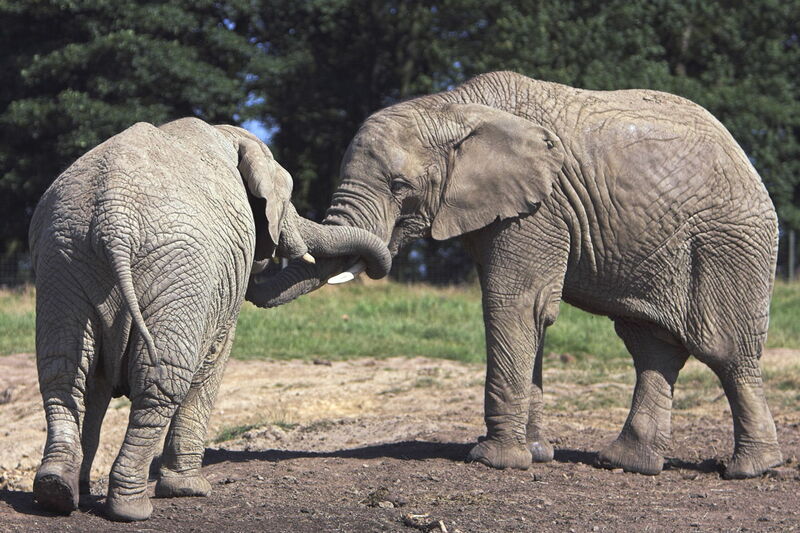 Elephants trumpet for several reasons, sometimes when they are excited, but also when they are angry. Regardless, it’s best to steer clear if they start getting too rowdy. 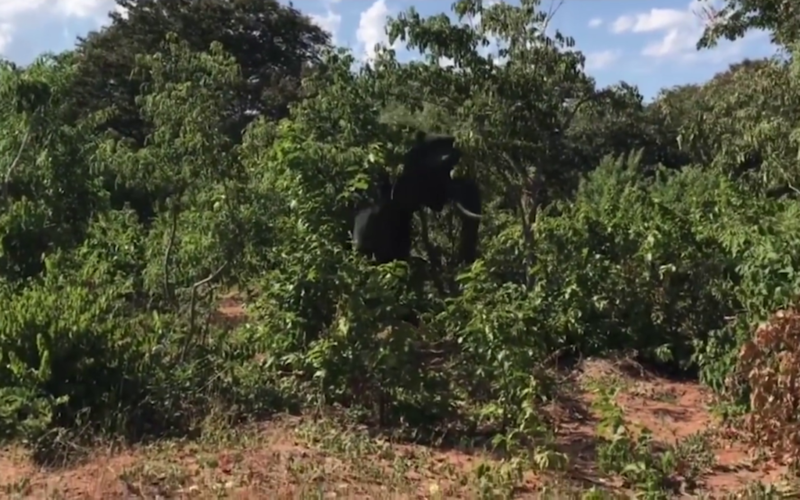 A moment later, to the surprise of the tourists, a tiny baby elephant emerged from the foliage and began to cross the road. The mother elephant immediately followed close behind, trumpeting at the vehicle as a warning. As the baby began to make its way back into the trees, the situation took a sudden turn. 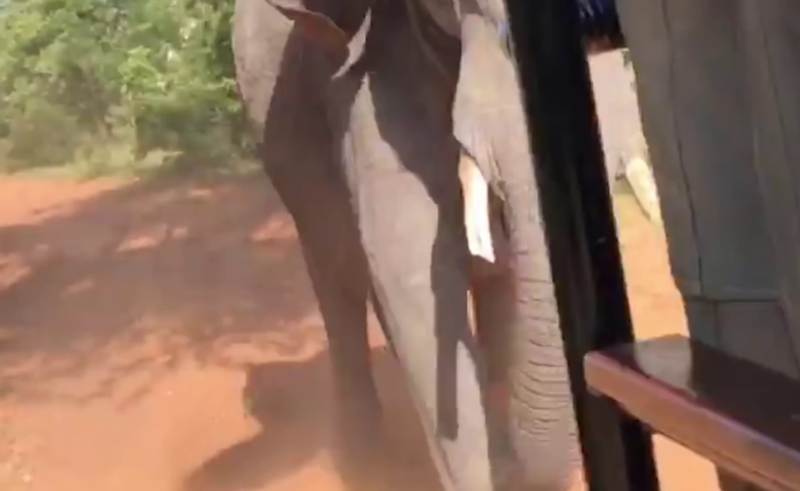 The mother elephant became quite agitated, trumpeting at the vehicle of tourists and not leaving the area. 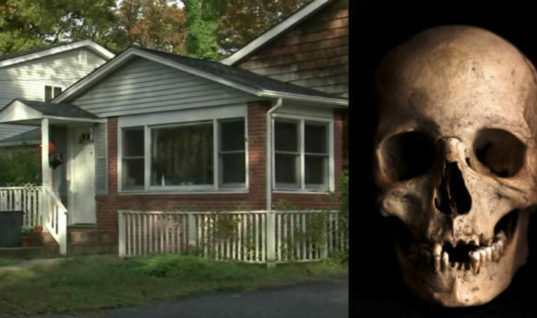 It seemed she felt they were a threat to her infant. 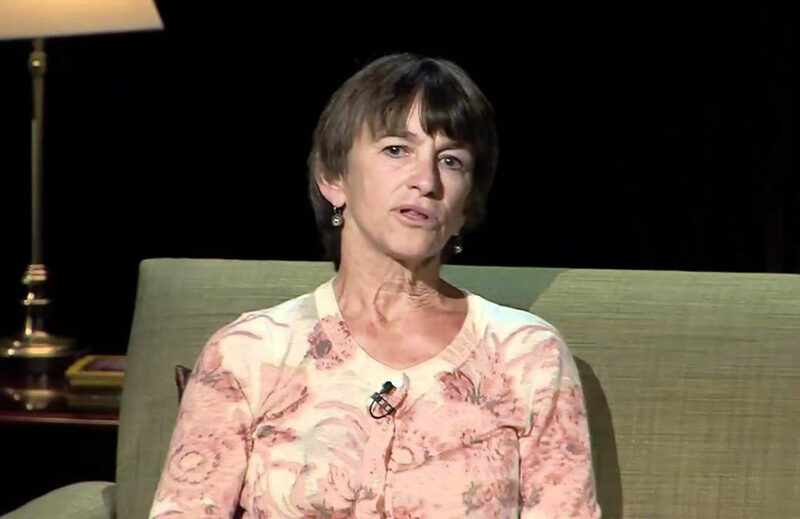 Joyce Poole, the Scientific Director of ElephantVoices watched the video and believed the elephant was the herd’s protective matriarch. 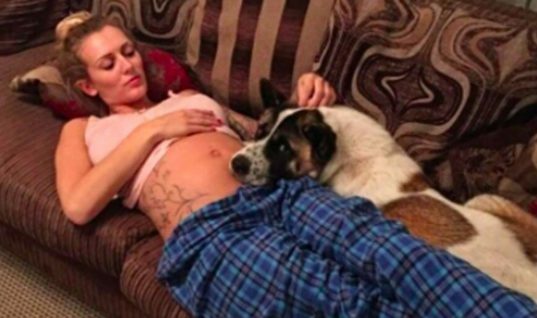 The trumpeting she was making was a warning, feeling that she and her baby were being threatened. You won’t believe what happens next. The tour guide, realizing something was wrong, began to slowly drive away, not wanting to irritate the elephant even more. 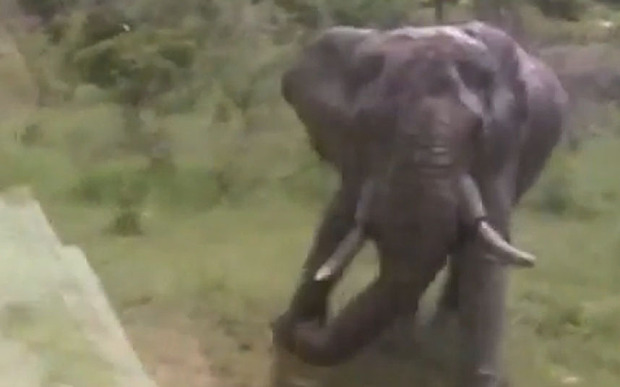 Unfortunately, the elephant had other plans and began to approach the vehicle. 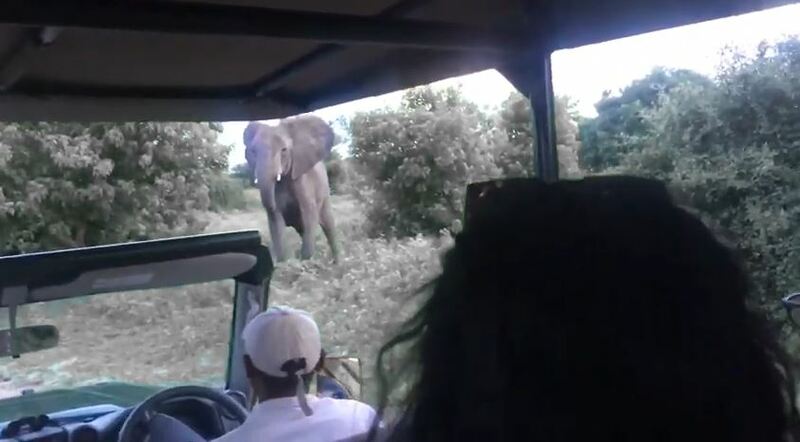 Realizing that the situation was about to get ugly, the tour guide began to speed away from the elephant. At this moment in time, the tourists began to realize that something was amiss and they could be in danger. 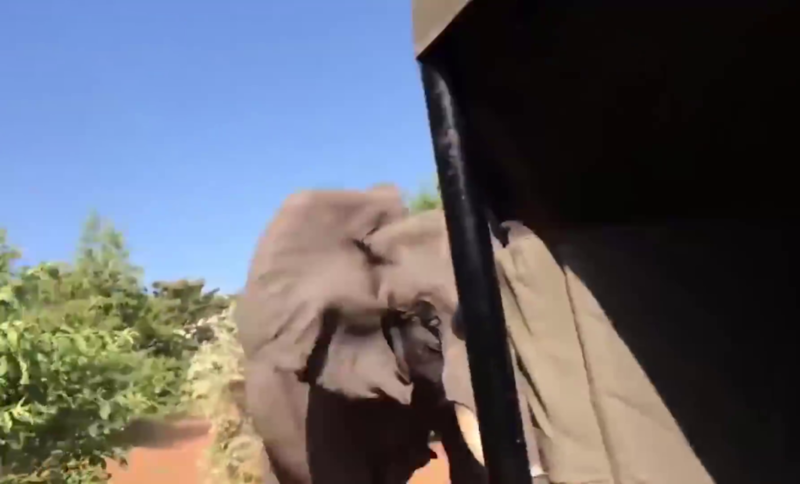 The elephant soon began to charge the vehicle, its massive size picking up speed. 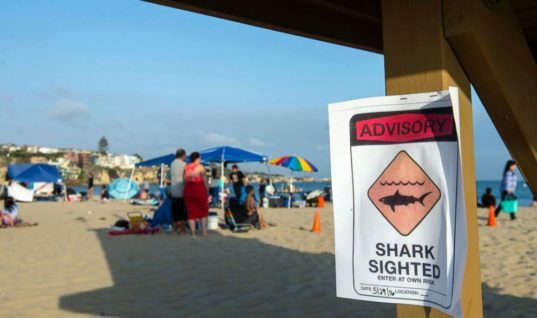 In the video, you can hear the tourists scream as the fun situation spiraled out of control. Things were about to get really ugly, super fast. Soon, the elephant gains on the 4×4. The tourists brace for impact as the mother elephant trumpets a final warning. To say the experience was intense would be an understatement. 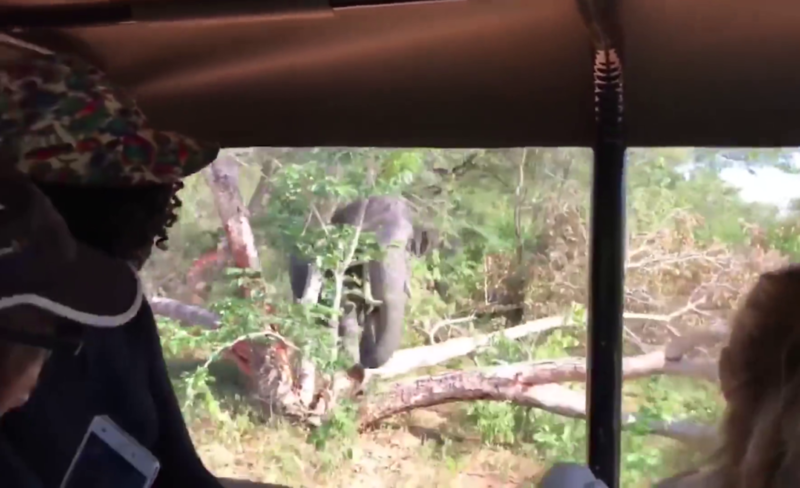 The elephant slams into the vehicle at full force, the 4×4 lurching forward from the impact. The tourists can be heard screaming in fear as the elephant lets it be known their presence is not welcome. Unfortunately, the impact from hitting the truck broke off bother of the mother’s elephants tusks. 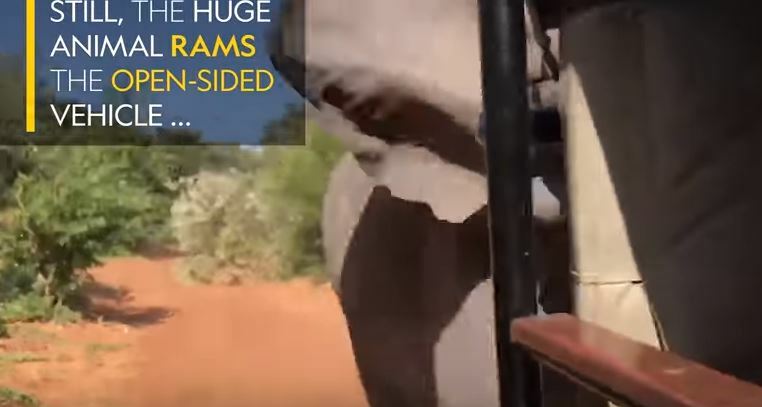 While this may not seem like a big deal, broken tusks on an elephant can lead to much bigger issues. According to wildlife experts, elephants can break their tusks while out in the wild, but it can cause health concerns down the line. 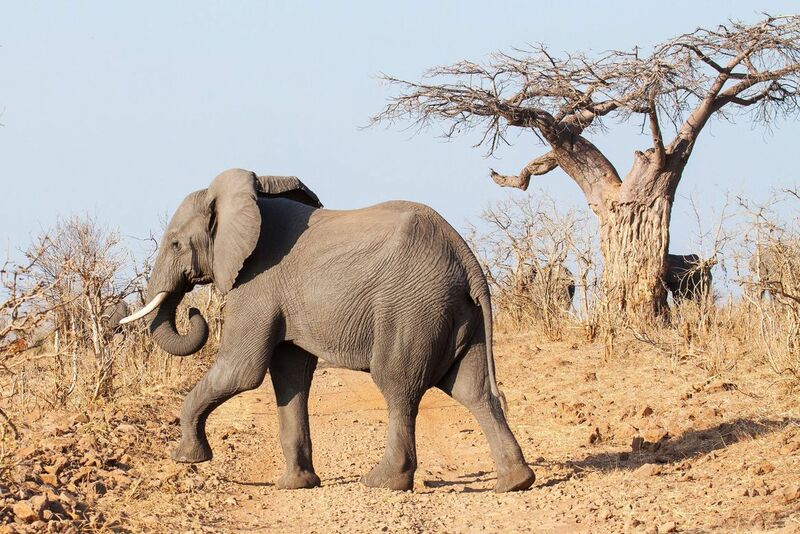 If the nerves are exposed, the elephant could contract a life-threatening infection. 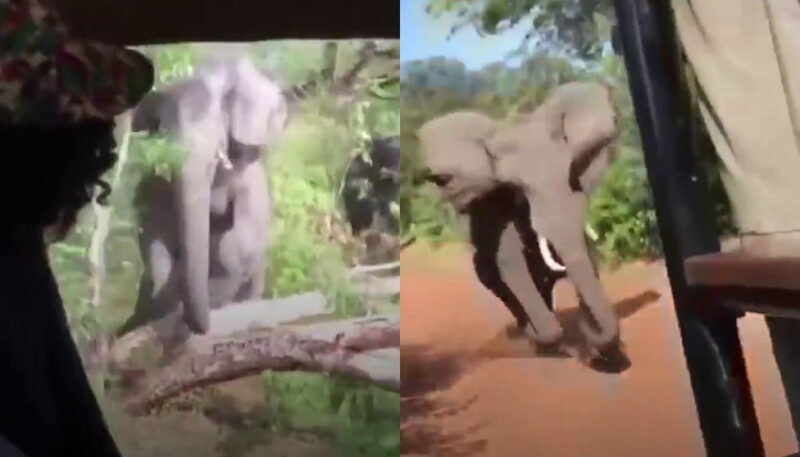 Thankfully, this elephant according to those who watched the video shouldn’t have any issues. The tusks were broken in a clean fashion. 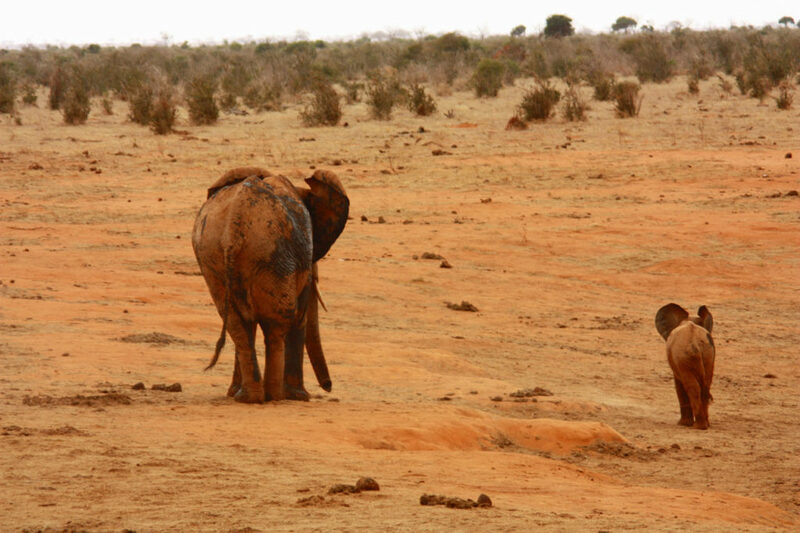 Elephants also rely on their tusks to survive and when they break off they can’t defend themselves. It can even cause trouble in terms of finding food. In general, the elephant can survive, but losing a tusk or two can make everyday living much more difficult. However, unnecessary risks like this can’t be afforded by the elephant population in its current state. With elephants dying by the dozens on a daily basis, the species is on the verge of disappearing from the face of the earth completely. Now, more than ever, we need parks like Chobe to keep these majestic animals safe.